Racks: Coming back to that hickory smoked flame-grilled, fall off the bone ribs goodness and more! Bit of trivia before the food review: During the ’90s RACKS was the ‘it’ place to eat with family and friends. Their hickory smoked, flame-grilled, fall-off-the-bone ribs were an instant hit and lines during lunch and dinner were proof of its goodness. But in 2006, Wellington Soong (owner of Jaguar dealership in PH) sold it to Cavallino Inc. owned by the Prieto family (owners of Shakey’s and Dunkin’ Donuts in PH) and managed by Leopoldo ‘Chukri’ Prieto III. It has undergone a rebirth since but that uniquely flavored rib goodness remained and now, joined with a few delicious additions to the menu. Now on to the food! We went to their Greenhills branch for late lunch to celebrate my cousin’s birthday. We haven’t gone to Racks for years and seeing some changes in the branches and menu, decided to give it a go. 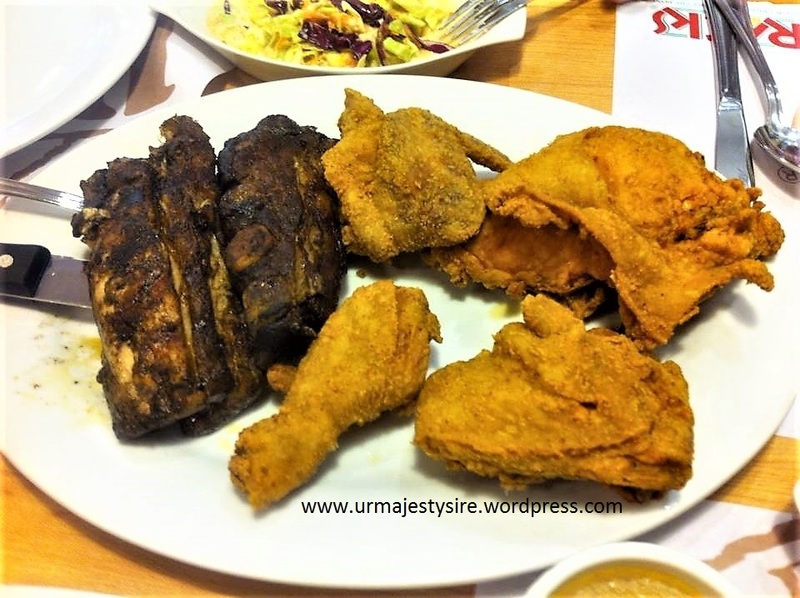 Southern Favorites (P1,485/4pax) – I chose this because the classic ribs are there with the Southern Fried Chicken which foodies say are really good. 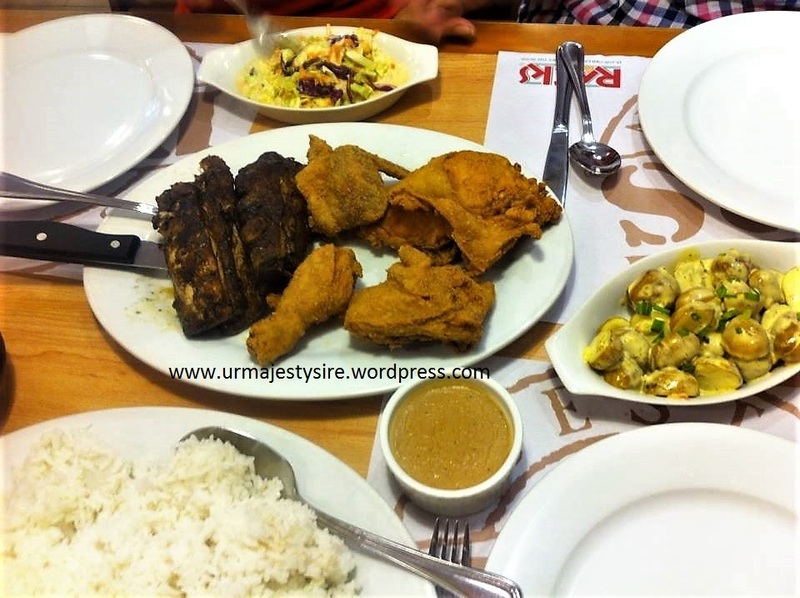 It comes with a half rack of classic pork ribs, 4 pieces (half) of Southern fried chicken, a choice of two large side dishes and a pitcher of soda. The Ribs were as good as before especially with a dab of their special sauce. Brought back memories of weekend eats. I’m so glad the Prietos ‘saved’ this food chain and kudos to maintaining its unique flavor and quality! 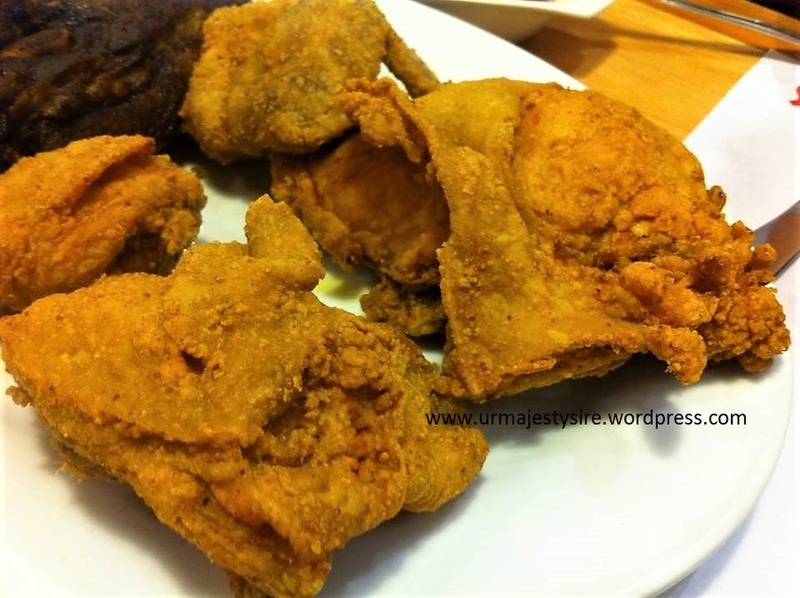 The Southern Fried Chicken is really good! Its not oily, its crunchy but not crumbly with excess batter. Then you get to that warm and well-seasoned soft fleshy meat on the inside. Its almost a sin if you eat it with the gravy/ketchup because – you really don’t need it. Oh, and eat with your hands! Its fried chicken!